1305673549 -You are a member of a social world on a planet that is home to about 7 billion people. This social world is filled with paradox, mystery, suspense, and outright absurdity. Explore how social psychology can help you make sense of your own social world with this engaging and accessible book. 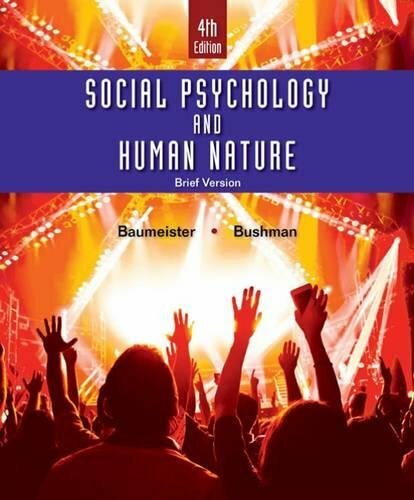 Roy F. Baumeister and Brad J. Bushman’s SOCIAL PSYCHOLOGY AND HUMAN NATURE, 4th Edition can help you understand one of the most interesting topics of all — the sometimes bizarre and baffling but always fascinating diversity of human behavior, and how and why people act the way they do.